Swiss voters have gone to the polls in a referendum on the government's plan to move from nuclear power to renewables. Preliminary results suggest that a majority favors the plan, which critics claim is too expensive. Switzerland held a referendum on Sunday on the government's planned transition from the nuclear power provided by the country's aging reactors to renewable energy sources. Provisional results suggested that a majority of voters supported the shift, with 58 percent voting in favor of the referendum. Final results are expected to be published by late afternoon. Most voters had already cast their ballots by post over the past weeks. 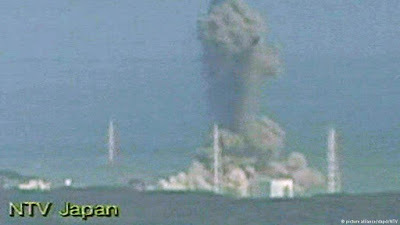 The Swiss government decided to gradually phase out nuclear power after the disaster in Fukushima, Japan, in 2011, where there were three nuclear meltdowns at a plant after a tsunami caused by an earthquake. Berlin took a similar step after the disaster by announcing the phaseout of nuclear power in Germany. 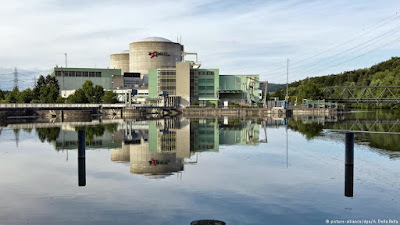 Switzerland's so-called Energy Strategy 2050, spearheaded by Energy Minister Doris Leuthard, who is also the current Swiss president, involves decommissioning Switzerland's five reactors as they reach the end of their safe operational lifespan. Currently, they produce around a third of the country's electricity. Although the plan does not lay down a clear timetable for phasing out the plants, it does envisage increasing reliance on hydraulic power and solar, wind, geothermal and biomass energy sources, as well as reducing energy consumption and improving energy efficiency. Its targets are ambitious, with the aim being to cut the average energy consumption per person per year by 43 percent by 2035 as compared with levels in 2000. 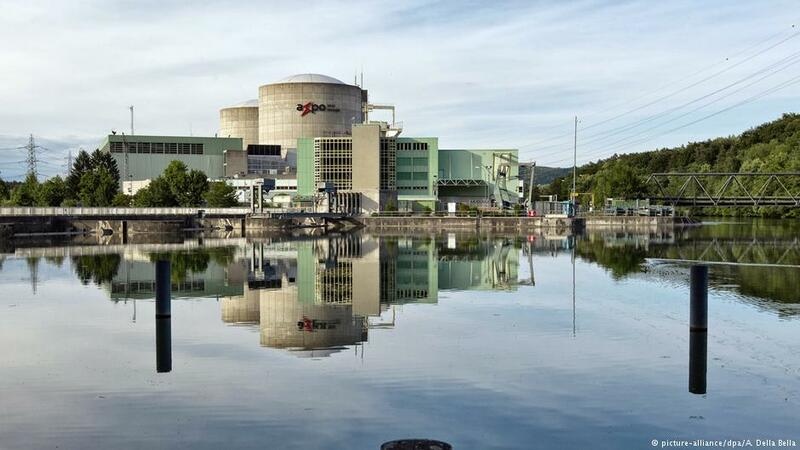 Last year, Swiss voters rejected a call to accelerate the decommissioning of the plants, a move that would have seen three of the five reactors closing this year. The government's energy strategy is supported by the Swiss parliament, with the exception of the country's largest political party, the right-wing populist Swiss People's Party (SVP), which called for Sunday's referendum. 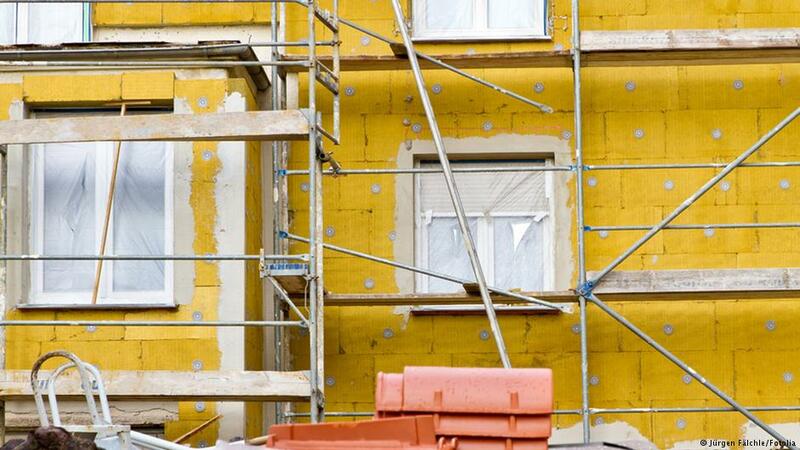 The SVP has criticized the plan, saying it would cost up to 3,200 Swiss francs (2,934 euros, $3,288) per four-person household per year in additional energy costs and taxes. The government rejects the claim, estimating the additional cost per household will be at 40 Swiss francs more per year. SVP politicians also maintain that the plan will threaten the country's energy supply, with campaign posters claiming that Swiss citizens would have to have "cold showers" despite paying more. They have also voiced concerns that additional solar panels and wind turbines could "disfigure" the country's famous natural landscape. Let us talk for a moment about Japan, and then I'll close the day of messages. There are thousands of souls on my side of the veil and they're just fine, more than fine. We have spoken so often of what happens at the Wind of Birth. I told you, before they even came in, they saw the potential. I looked in their eyes. "You may not last long. You know that, don't you? You're coming into this planet and you may not be here very long. And the passing that you will have with your family will not be pleasant, if any ever are. Why would you come in anyway?" I want to tell you what they said. When a soul has the mind of God, it understands fully what generates peace and what generates energy shift. You can clearly see what generates what the planet needs the most when you are about to arrive. So they said, "We're going to be part of one of the biggest compassion events the planet has ever seen." One earthquake, one tsunami. All of those who left that day will change the earth forever. And it already has. It was the same for the last tsunami as well. Every single one of them on my side of the veil is getting ready to come back. Many old souls were involved, and just for a moment, if they could give you any information, if they could talk to you right now, if they could speak your language and look into your eyes, they would thank you for your compassion for them and those who are left. And they would say, "Be with those family members who are still alive. Enter their hearts every day and give them peace and keep them from crying, because we're OK."